Using comprehensive experience, traditional methods supported by the latest technology we offer a comprehensive residential sales service. For more details contact us or visit Thinking of Selling? You can search our property list within this site. Would your property sale be best dealt with by auction? Few estate agents are also experienced auctioneers and are unable to offer this facility. Our qualified Valuers and auctioneers will be happy to advise you how to get the best from the sale of your property. Contact your nearest or email us. Our associate company holds regular auctions sales of antiques general household items, quarterly carpet sales etc. We are major agents for high street commercial properties in Chester and North East Wales. We deal with all aspects of commercial sales, lettings and consultancy from our regional office based in Chester Street, Mold with support of each of our branch network offices. You can search our commercial property register using this site. We offer homes to let throughout Chester and North East Wales. 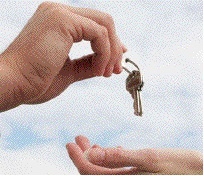 To let your property, we offer a full management service or lettings only. You can search for property to let, within this site or to register your property or any other query, please contact us by email or telephone (01352) 752552..
We are agents for several New Developments. These will be found within our residential property search facility. Building land will be found within our commercial property search facility. We aim to bring you links to all property sites in Cheshire and North Wales - if you are aware of a site we have missed or a link that disappoints please contact us. Chester Denton Clark & Co.
Ruthin / Denbigh Clough & Co.
MultiMap : The UK�s leading interactive mapping service on the web, offering street-level maps of Europe and detailed maps of the world.